A variety of fresh, high-quality ingredients. 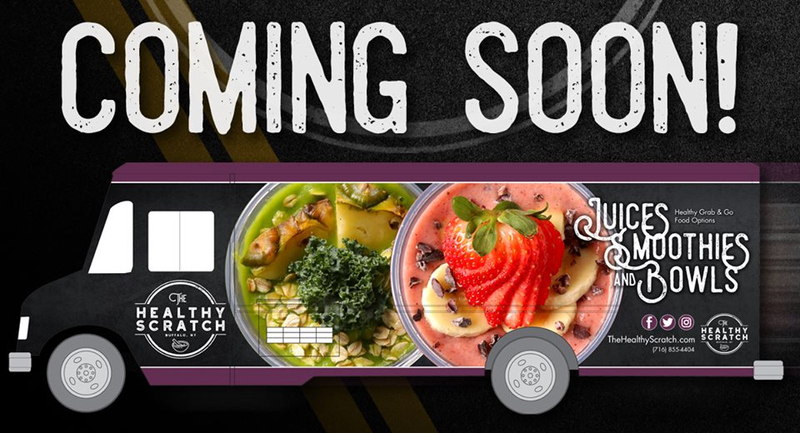 Similar to its flagship storefront, The Healthy Scratch Food Truck will offer a wide assortment of fresh cold-pressed juices, along with fresh blended smoothies, wraps, acai bowls, salads, and other healthy grab-and-go food options. 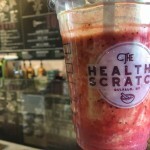 “A big part of The Healthy Scratch is showcasing the quality and benefits of organic and clean eating. 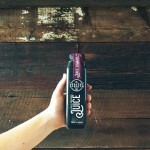 We believe that what you eat helps your mind and body, thus making you feel better inside and out. Traveling to so many places has helped us gain a greater understanding of the benefits of tasty, healthy food and beverages from around the world. We want to share these with our customers in creative ways that clearly communicate the health benefits of each menu. Another thing we are focused on is catering to customers on-the-go. We want to be the leading provider of quick, healthy food and beverage options with quality ingredients that our customers know they can trust. We offer a healthy dine-in or take-out experience for our customers. 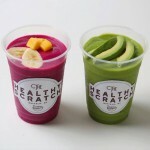 1) Select from a variety of smoothie bases including Pitaya, Acai, Greens + Matcha, and Banana Cacao. 2) Choose up to two fruits and three dry toppings including fresh-cut organic fruits, nuts, seeds, granola, honey, and more. If you need a quick fix and can’t decide, try one of our signature bowls or ask the staff for their favorite combination. Enjoy one of our fresh, organic, cold-pressed juices made in-house from a combination of fruits and vegetables – each one blended with the purpose of benefiting your body in different ways. 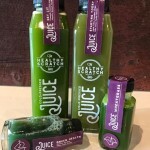 Both our juices and juice shots provide different benefits including Detox, Energy, Weight Loss, Anti-Age, Immunity, Recover, and Health & Wellness boosts. Select from a variety of specialty smoothies with ingredients designed to spark your taste buds and give your body a boost. Use us for help in making your selection based on whether you are looking for a favorite flavor, a daily serving of fruits and vegetables, low-calorie options, or protein-packed smoothies. Ignite your day with one of our hot or cold coffee options. “Get Lit” with a nitro, mocha and caramel cold brew or enjoy one of our hot beverages options including coffee, espresso, cappuccino, hot chocolate, and hot tea. 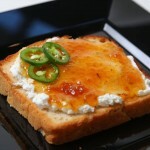 Fresh baked in Buffalo, NY, our toasts are topped with premium ingredients. Our locally sourced bread and toppings are mixed in unique combinations that create a fresh, healthy difference that you can taste. Pick something healthy up while you are on the run from our Grab-and-Go section. We have salads, wraps, protein bars, chips, snacks, and other healthy menu items prepared daily and ready to meet your busy schedule without sacrificing nutritional values.